This instructions are created assuming you are running a fairly reacent distribution of linux. At the time of this post I'm using Ubuntu 10.10. You will need to have all the required software installed and functioning. Instructions about installing the required software is outside of the scope of this post. This post assumes we are working on the IE7-on-XPSP3.exe compreced VHC image. I recommend the Windows XP images since they are several Gigs smaller than the Vista images. This post is based on the IE7-on-XPSP3.exe file. Wine is used to extract the VHD image from IE7-on-XPSP3.exe. 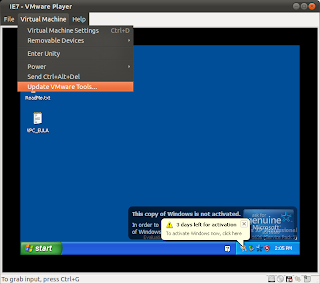 Converts the Virtual PC (VPC) Images to VMDK which is the format understood by VMware Player. Required to run our end product. Step 1. Extract the Virtual PC (VPC) file. Open your terminal and locate your compressed Windows image and extract the VPC file using Wine. Change "Destination Folder" to a location where you want to extract the Virtual PC (VPC) file. I have chosen "/home/rramirez/Download"
Step 2. Convert VPC file to VMDK. 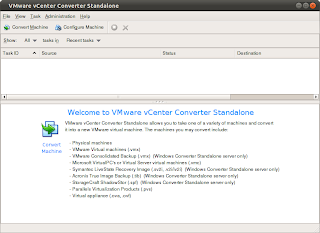 For this step we need a VMC file generated by Microsoft Virtual PC. If you have machine with Windows on it, you can install Microsoft Virtual PC and generate this file. 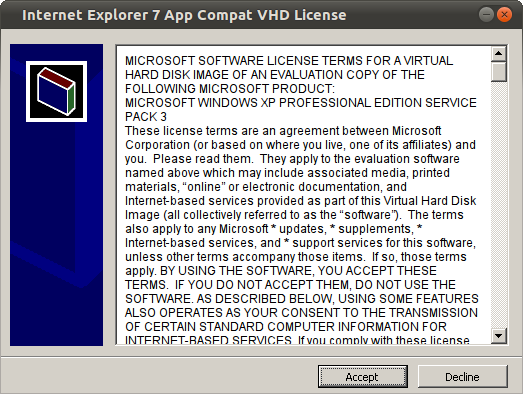 Fortunately I have generated this file before hand (Download EI7.vmc) . 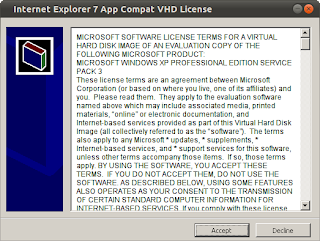 Place IE7.vmc in the same directory where your extracted WinXPIE7.vhd. 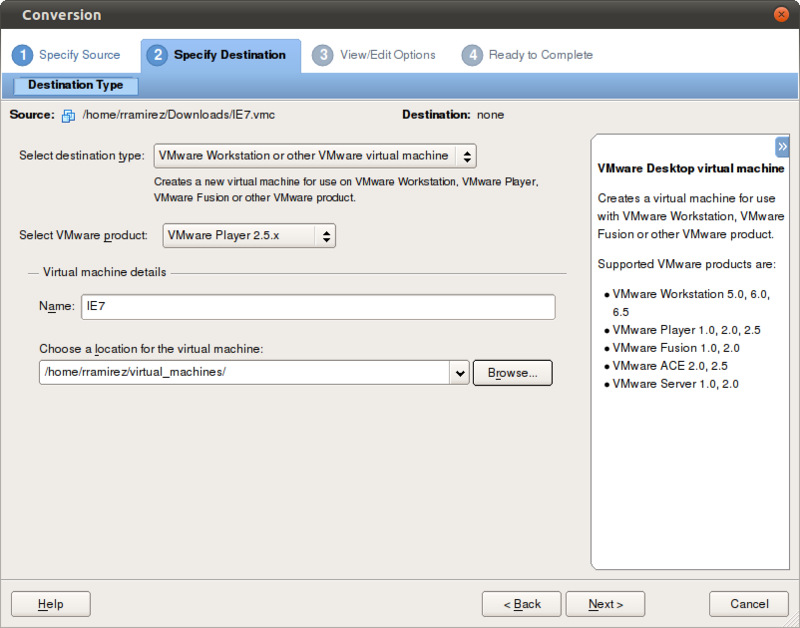 This is "/home/rramirez/Downloads" from step 1.
for "Select source type", select "Backup image or third-party virtual machine"
for "Select destination type", select "VMware Workstation or other VMware virtual machine"
for "Select VMware product", select the latest VMware Player version. in my case this is "VMware Player 2.5.x". for "Choose a location for the virtual machine", select the destination where you want to store your windows instance. I chose "/home/rramirez/virtual_machines/". 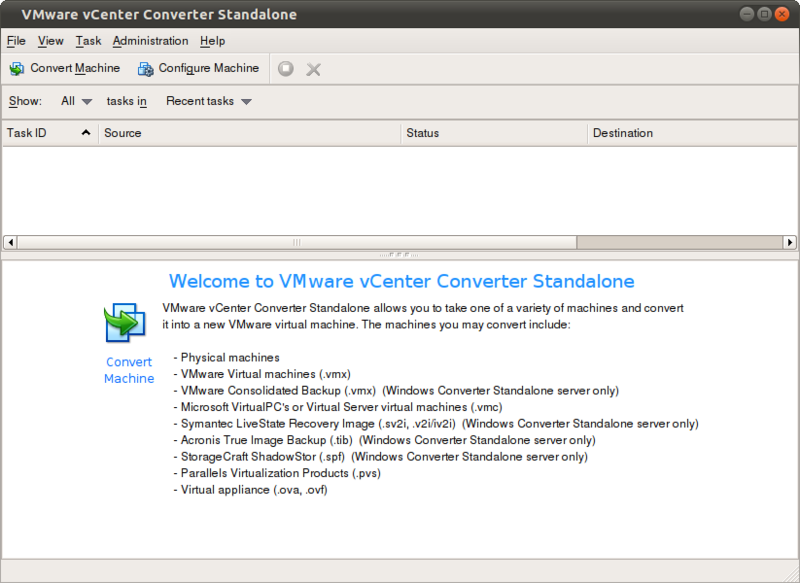 Click on Finish, and wait for VMware Converter to finish its job. Step 3. 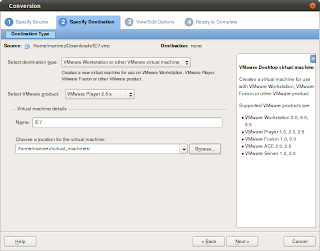 Run VMware Player and install the drivers. Click on "Open a Vritual Machine". Find the location where you have your VMDK file (Converted Instance). 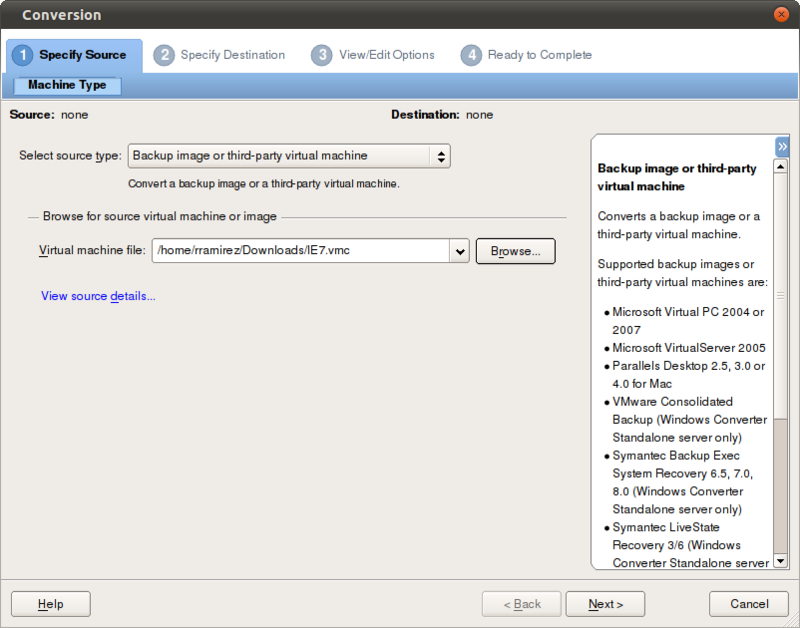 I have chosen "/home/rramirez/virtual_machines/" in step 2. 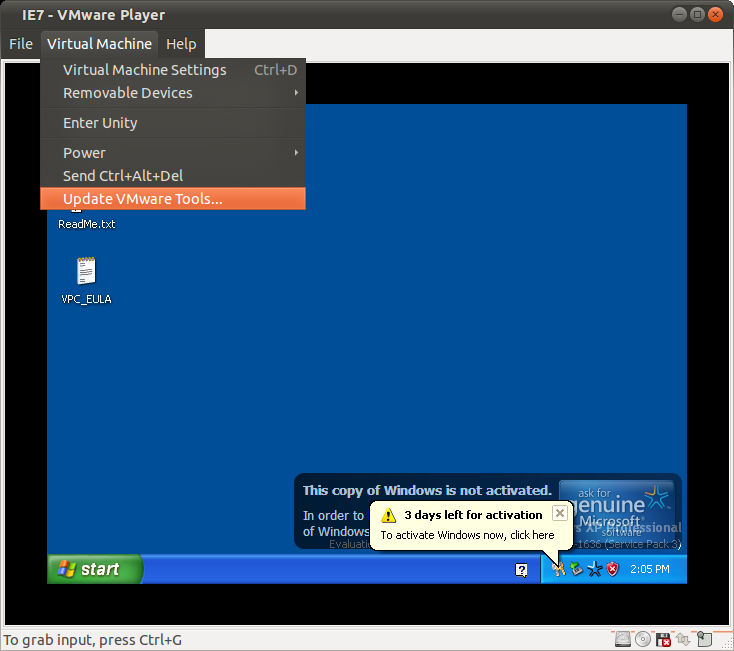 Click on "Play virtual machine". Wait for your windows instance to load up and your keyboard and mouse to become active. This make take a few minutes. At the logon screen, type the password provided by Microsoft (in ReadMe.txt extracted from IE7-on-XPSP3.exe). At the time of this post, the password provided is "Password1" without the quotes. Cancel the Activation screen and any other installation wizard that comes up. 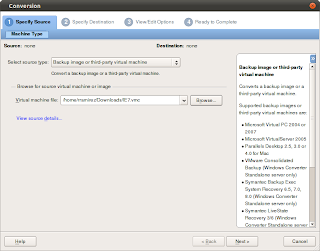 Install the VMware drivers by clicking on "Virtual Machine"-> "Update VMware Tools...". Once the VMware wizard comes up, finish all the steps. Cancel any other Windows pop-up boxes asking for missing files. When rebooted, go through the windows Activation wizard. To install other instances, just repeat the procedure above. I have successfully loaded IE6-on-XP and IE8-on-XP with no issues. When finished I notice there was a conflict with the battery in all the instances. This should not be an issue for anybody since these instances are running just for Internet Explorer testing.